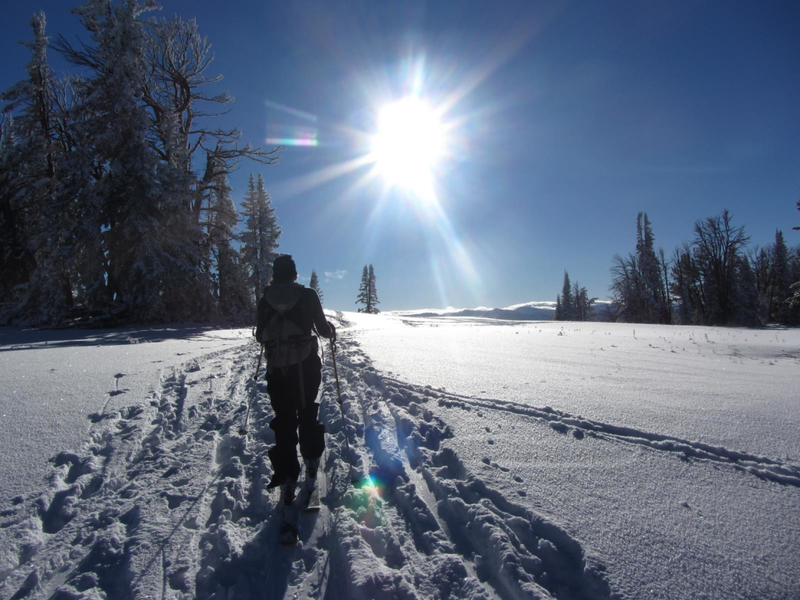 Though often quite crowded, the backcountry skiing and snowboarding on the south side of Teton Pass is really enjoyable. 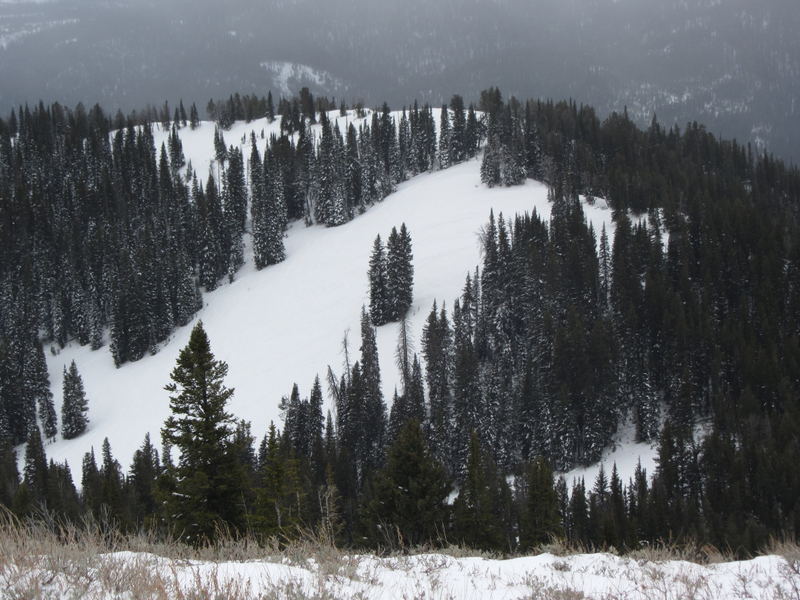 The south side of Teton Pass is often looked down upon. 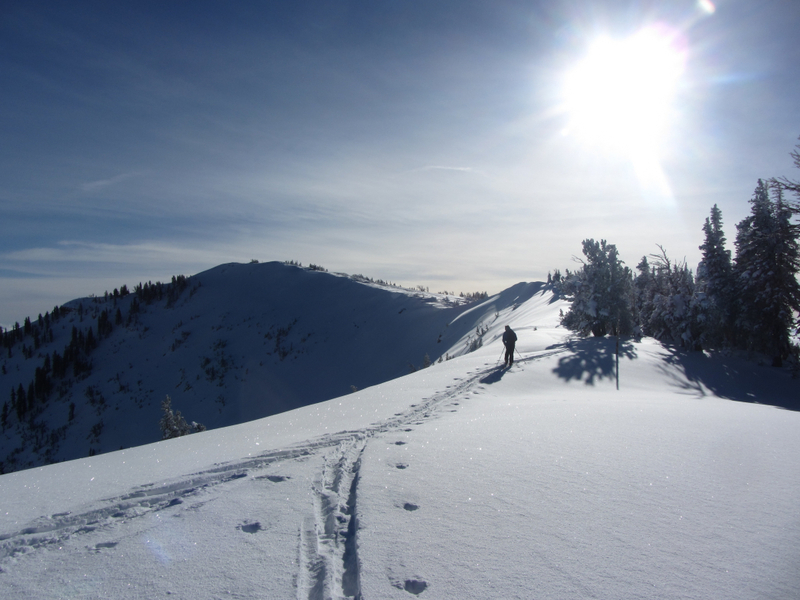 None of the terrain is particularly exciting, it's possibly the most crowded backcountry skiing area in the valley, and it's not uncommon to see a lot of unprepared skiers and boarders without avalanche gear or general wherewithal and experience. That said, it's really not that bad. At all. Avalanche Bowl, a 20- to 30-minute skin gaining little elevation and heading almost straight south from the parking lot, isn't necessarily gnarly, but when coverage is thin, it can be mostly grassy. Avalanche Bowl’s top 400 feet are easy to lap. You can continue down further too, and make your way north and emerge on the Old Pass Road or you can skin back up KB Ridge. If you come out at Old Pass Road, you can hitch a ride back to the top of the Pass. Edelweiss is perhaps the south side's most popular run. There's no way to avoid crowds here, but the social atmosphere can be fun. You can reach Edelweiss by skiing down Powder Reserves almost immediately south from the parking lot at the top of Teton Pass. Ski 400 feet down Powder Reserves and you'll find yourself at the bottom of Edelweiss. Put your skins back on and the top of Edelweiss is about a 900-foot skin up. If Powder Reserves doesn't yet have enough coverage to make you comfortable--there's some significant deadfall in there--you can also reach Edelweiss by staying on the road/skin track from the parking lot. Skin past Avalanche Bowl, and then keep going. And going. From the parking lot, at a very leisurely pace, this long way around to Edelweiss takes perhaps an hour and you climb about 1,000 vertical feet. The climbing is very, very mellow though. Via Powder Reserves, contrarily, it takes about 15 minutes less but the climbing is much steeper. 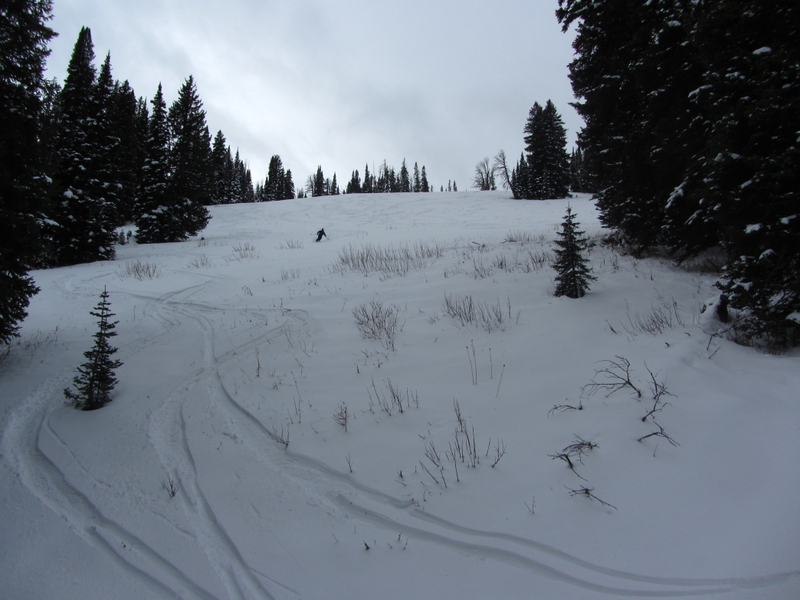 Descending Powder Reserves gets you about 400 feet of turns. 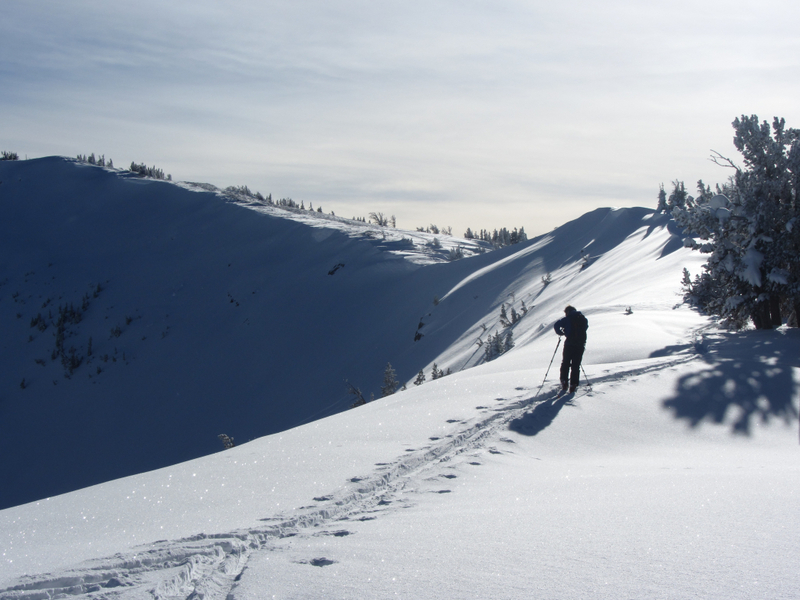 Via Powder Reserves, it’s also almost impossible to get lost. The long way around, it’s possible to find yourself at the top of Thanksgiving Bowl or Christmas Tree Bowl instead of atop Edelweiss. This is a mistake you generally only have to make once though before figuring things out. Just know that Edelweiss is north of these two bowls. The skin track should be to skinner’s left of Thanksgiving and Christmas Tree. Taking the long way around to Edelweiss, there’s a point at which you switch from skinning south to north. Mountain bikers and pass hikers recognize this as the Black Canyon Overlook. If Edelweiss doesn't interest you, there is an open bowl just south of this overlook that is easily spotted from the overlook. It is often untracked. It sits at the top of Black Canyon. To get there, it is 800 vertical feet down-worth taking your skins off for--until you can traverse over into the middle of the bowl. Laps here are even shorter than in Avalanche Bowl, about 350 feet. 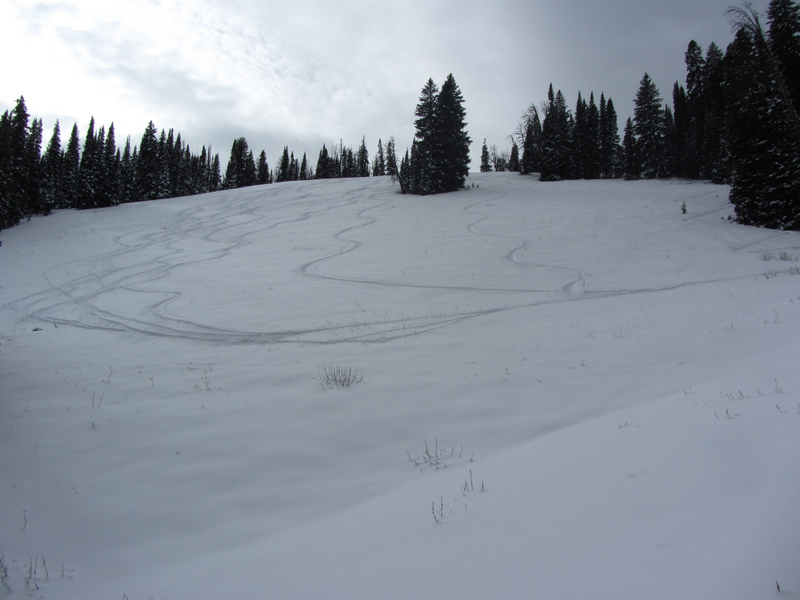 Early season, it's your safest bet because its slopes are fairly grassy as opposed to rocky. And it's generally pretty easy to quickly escape the crowds, because most people don't skin or hike out for more than 20 minutes. Start at the Jackson Hole Mountain Resort at 3395 Cody Ln, Teton Village, WY 83025.